Rosie was born and raised on Vancouver Island and proud to call Victoria home. She graduated with distinction from Vancouver Island University with a Bachelor of Arts in Physical Education, and English. She went on to successfully complete her Master of Science in Physical Therapy at the University of Alberta. While completing her undergraduate degree, Rosie also became certified by British Columbia Recreation and Parks Association as a group fitness instructor, teaching advanced classes in gyms on both Vancouver Island as well as in Alberta. Rosie has completed additional post-graduate training in Manual Therapy, Soft Tissue Release, Functional Strength and Conditioning, and Acupuncture. Rosie is certified in acupuncture by the Acupuncture Foundation of Canada Institute. The professional designation, CAFCI (Certified by Acupuncture Foundation of Canada Institute) is conferred upon students who pass both the written and practical examinations. CAFCI is recognized by most professional associations, provincial regulatory bodies in Canada and some insurance providers. Unlike provincial certification, CAFCI is transferable to all provinces. Some provincial regulatory bodies require professionals to have the CACFI designation before practicing acupuncture. The designation sets a high standard and ensures practitioners are safe and effective. CAFCI is your patient’s assurance that you have trained with a leading provider of acupuncture education. Rosie has completed her certification in Gunn Intramuscular Stimulation (IMS) from the University of British Columbia. Rosie takes a dynamic approach to rehabilitation by incorporating a combination of treatment approaches including soft tissue techniques, manual therapy, needling, and exercise. 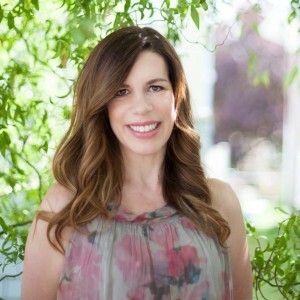 She empowers her patients by educating them on their specific condition as well as providing them methods and tools to assist in expediting their recovery and achieving the best possible outcome. Rosie has practiced at a few Physiotherapy Clinics in Oak Bay, Saanich and Victoria but is glad to now be working with a very experienced team of Physiotherapists at Shelbourne Physiotherapy! Rosanna Chamberlin treats patients at our downtown Cook Street Victoria Physiotherapy clinic located at 308-1175 Cook Street, Victoria, BC, V8V 4A1. Rosie is accepting new patients. To book an appointment with Rosie please call the downtown physiotherapy clinic at 250-381-9828. Fortunately, Rosie does provide treatment for ICBC and not WorksafeBC claims. Shelbourne Physiotherapy, Pilates & Massage is a locally owned health company with 3 locations in beautiful Victoria, British Columbia. Our clinics offer Physiotherapy, IMS (Intramuscular Stimulation) & Dry Needling, Kinesiology, Exercise Rehabilitation, Massage Therapy, Sports Rehabilitation, Post-Operative Rehabilitation, Vestibular, Dizziness & Balance Rehabilitation, Women’s health (peri-partum and incontinence), Acupuncture, Hydrotherapy, Aquatherapy, Pool Therapy, Real Time Ultrasound, Arthritis and Osteoarthritis Treatment, Electrical Modalities, Pelvic Floor Physio, Pelvic Pain Physiotherapy, Incontinence Treatment, Sports Physiotherapy, Chronic Pain Treatment, Oak Bay Physiotherapy, Shockwave Therapy (ESWT), Aquatic Therapy, Yoga, Yogalates, Clinical Pilates and Custom Knee Bracing, Our clinics are approved providers for WorksafeBC (WCB) Physiotherapy and ICBC Physiotherapy, Kinesiology & Rehabilitation.